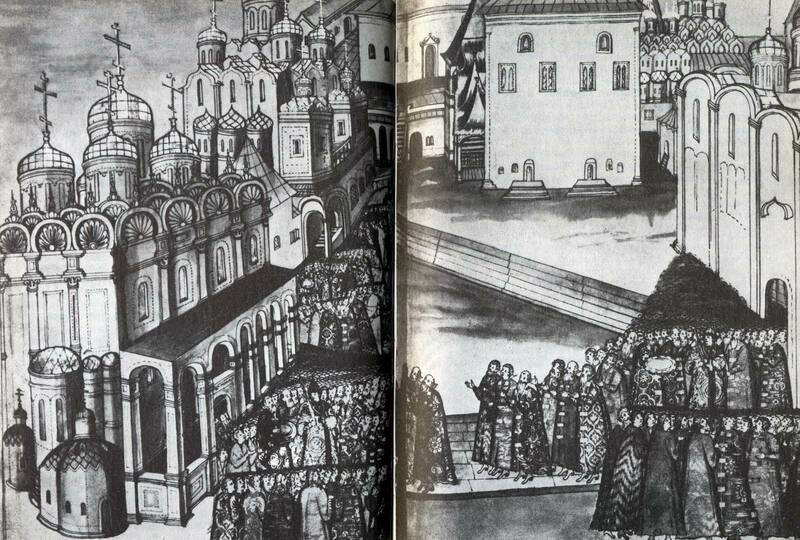 The first consists of works that appeared before 1613, that is, before the election of Michael Romanov to the throne. They are direct responses to events, the direct impression of social and political passions and biases. They are polemical writings in which everything is subordinated to a concrete agitational task. The texts of the second group were also written by people who had witnessed and taken part in the Time of Troubles, but they were written after it was over, in more or less peaceful times. Their authors are already attempting to interpret philosophically, historically and artistically the “evil years” that Russia has just endured. Minor genres are more suitable for agitation. The publicists of the Time of Troubles were no exception to this rule: one of the main genres in their repertoire is “visions”.2 The canonical structure of the “visions” can be seen from The Tale of the Vision to a Certain Holy Man compiled in the autumn of 1606 when Bolotnikov’s army was approaching Moscow.